When designing or planning a pre-engineered steel building for your project whether it is for your home, office, residential, or commercial we often think about how it will effect our environment. When building, most owners look for greener products and green building to improve the quality of our environment. 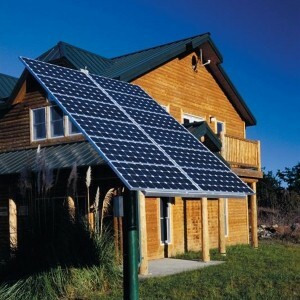 The benefits are usually huge allowing us to save on our energy bills cutting costs by half. There are so many factors that effect our environment today such as the design, construction, and maintenance of our steel buildings. More than 75 million plus residential buildings and almost 5 million commercial buildings impact our environment the U.S. today. One third of all energy is being consumed in the United States. The more and more buildings are being built the more energy is being consumed resulting in major energy consumption and high energy bills. Now, we are starting to take control of this and would like to build smart. This way we use a minimum amount of non-renewable energy as well as produce minimum pollution allowing for a much better economy. Pollution and air quality problems come from the many industrial buildings that we have constructed. High amounts of sulphur dioxide emissions and nitrous oxide emissions are produced everyday. This is very damaging to our air quality. Often this is overlooked and the focus is on components, its surroundings, and its occupants. Generally, a building consumes more resources than it should which results in impacting the environment with large amounts of toxic waste. Most industries have acknowledged this and this is why we are trying very hard to get the word out and promote greener buildings. As an example, if 10 percent of homes in the U.S. used a solar panel roof system or cool roof system this would help reduce tons of carbon emissions per year. There are many green products out there which will help to provide much cleaner buildings. Greener buildings offer environmentally sound and resource efficient green building which uses an integrated approach to design. Green buildings also promote resource conservation, such as energy efficiency, renewable energy, and water conservation features, are considered environmental impacts and waste. Click here and discover if you are eligble now!